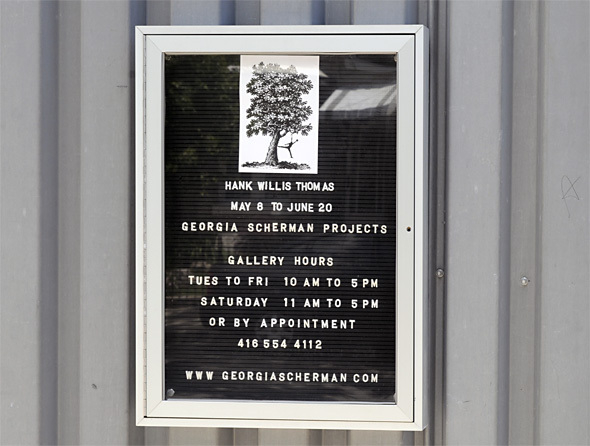 Located on Tecumseth just south of the Queen West strip, Georgia Scherman Projects is, as the name suggests, a project-based gallery. A circular sentence if I've ever written one, I nevertheless bring this up at the outset because the designation 'project-space' fascinates and confuses me in equal turn. It's not really a big deal, but little linguistic ambiguities like this are, as I mentioned, quite fascinating to me. It's not that I expect or require such terms to be strictly regulated by an overarching denotation or literalism. In fact it's really quite the opposite: when I dropped by Georgian Scherman Projects, I was immediately interested in how the third word in the name might relate to the mandate of the space. As I soon found out, Georgia Scherman Projects does indeed seek to distinguish itself from many galleries by exhibiting projects that (1) highlight the freedom and creativity of its curators over strictly commercial aims and (2) may not be possible or desirable in museum structures. What would an example of this be? 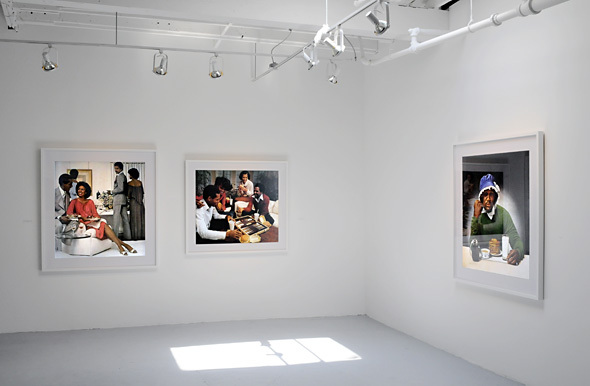 Earlier this year (2009), the gallery exhibited selected works from the Latner Family Collection, including pieces by Richard Prince , David Hammons , and Raymond Pettibon . Insofar as this is a private collection, none of the works on display were for sale. But despite this, the opportunity to show such major artists was irresistible. It's not that Georgia Scherman Projects isn't a commercial gallery; it absolutely functions in this capacity the majority of the time. But by embracing what I might call an art-first approach, there's latitude to host exhibits that at times deviate from what's traditionally expected of commercially oriented spaces. I get the feeling that the decision to adopt such an approach - one that notably involves bringing important artists and their work to Toronto - has a lot to do with the wide ranging experience of the founder of the gallery, Georgia Scherman. The daughter of artists Tony Scherman and Margaret Priest, Scherman's immersion in the art world started early and has continued to this day. 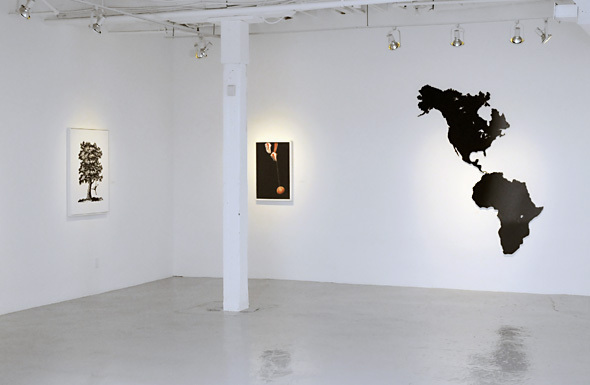 Prior to opening the gallery that bears her name in its original location around Dupont and Lansdowne in 2006, Scherman received both an undergraduate degree in Cultural Studies and Art History at McGill University and a Masters in Visual Arts Administration from New York University. Along with this academic training, Scherman also received hands-on training through an internship at the Museum of Modern Art and a position at James Cohan Gallery in New York. I don't normally cite the education/experience of the owners of galleries that I profile in a whole lot of depth, but in this case I think it sheds some light on how Scherman has put together such a strong roster of artists - many of whom have pieces in national museums and galleries -- and why her gallery regularly exhibits big names from the international art world. 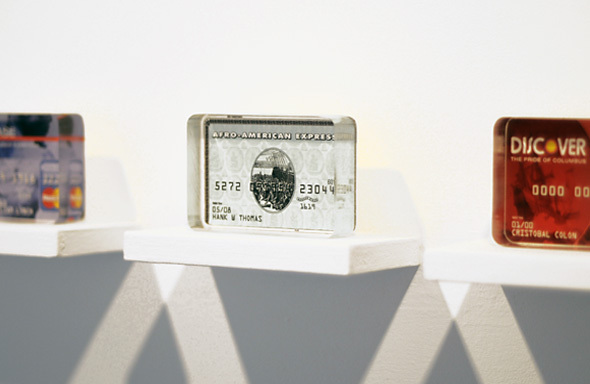 She has both the certification and the connections to attract and represent established artists, whose affiliation in turn helps to build the reputation of the gallery. I realize I've yet to mention the exhibition space itself. 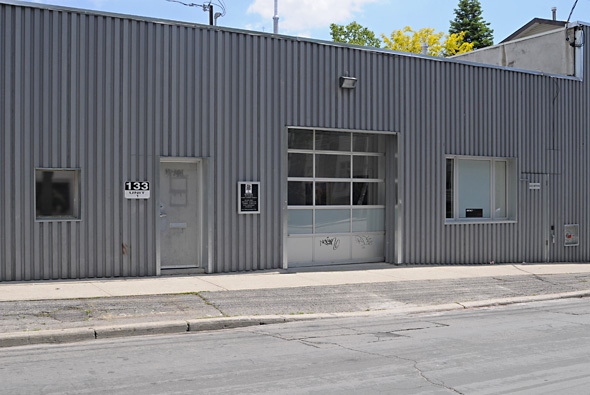 I normally do this upfront, but having been sidetracked, let it suffice that the newish location on Tecumseth is a wonderful example of an industrial space turned art gallery. Although subtle signs of the past remain - like the garage door and the nondescript exterior - the interior is great for the display of art: plenty big (1500 sq. ft.) and not inundated with natural light. All in all, this is one of the galleries I plan to keep an eye on for future shows.